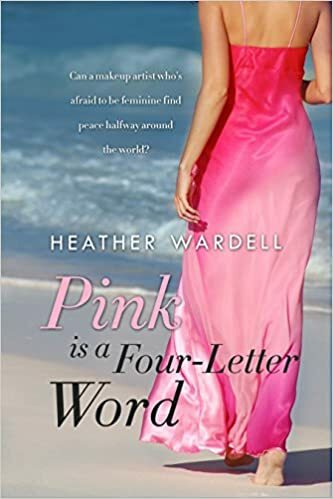 I’ve reads several of Heather’s stories now and loved them but this one – well, I think the lack of true love for Larissa shows in how I feel about the story. Larissa always seems to feel second best, undeserving, always seeming to seek validation from others and yet she’s a great lady with a lot to give. Things aren’t going well for her right now, she’s struggling to assert herself in her profession, things are going wrong in her personal life, and after almost getting raped she’s ripe for a change. She seems to think a fresh start will mean a new Larissa, but of course we can’t outrun ourselves and she learns her issues have travelled with her. That’s a tough lesson when you’ve travelled so far, and one many of us need to learn. Its more a journey for Larissa, learning to love herself, to be proud if what she does and finding she does not need validation from others to feel good about herself, than an actual romance IMO. Though that was enjoyable and so very, very real I missed the love angle that usually Heather does so well – at least in the books I’ve read so far. Its a well written story, and I felt I was there with Larissa, thinking the problems through as she does and wondering what’s the right course, but on the whole this book just didn’t grip me, its not a re-reader for me and therefore a three star. Stars: Three, a fun read but a one off only.